The move follows the signing of a new business agreement with Challice Limited. Mulberry Asia will begin trading in Hong Kong from 3 April. In addition, a subsidiary in China and a branch office in Taiwan are expected to be operational this year once the business secures relevant business licences for the territories. The Mulberry Group owns 60% of the share capital of Mulberry Asia while Challice holds the remaining 40%. 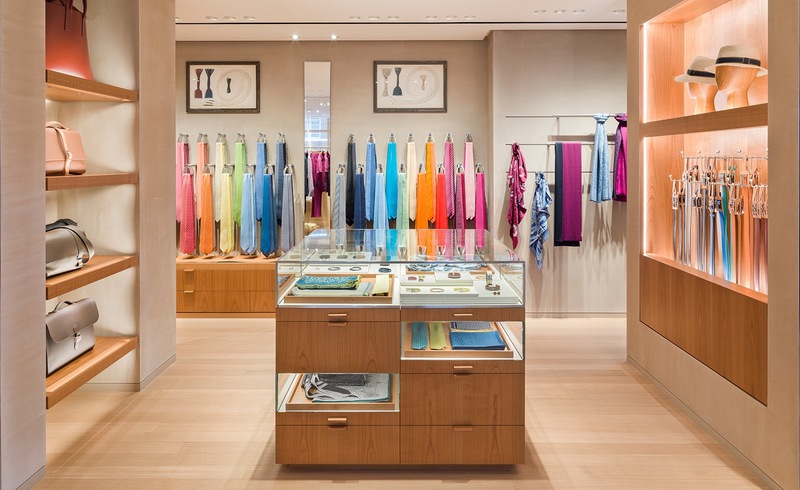 Mulberry Asia will initially operate two stores in China, one in Hong Kong and one in Taiwan. It will also manage regional wholesale operations. 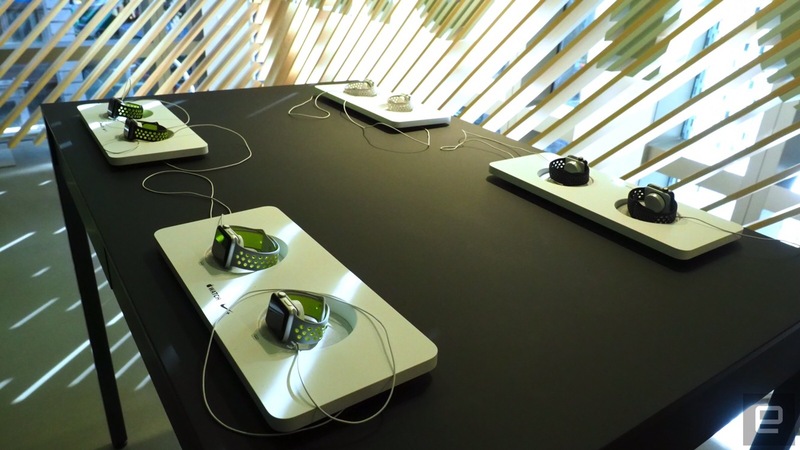 These are supported by the group’s Chinese language mulberry.com site and omnichannel platform throughout the region. 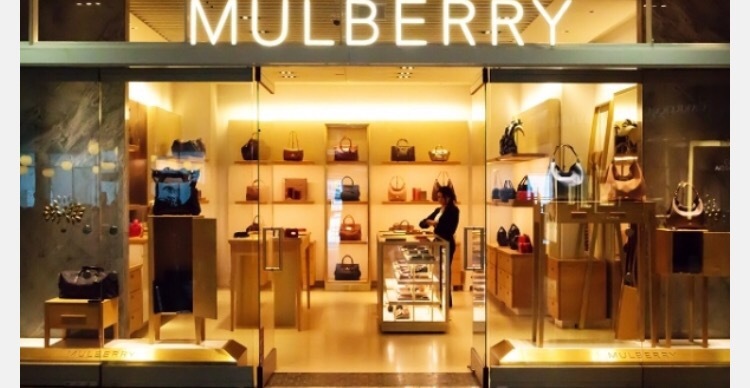 In addition to local marketing initiatives, Mulberry plans to invest around £3 million in additional support in North Asia over the next two years to build brand awareness in the region and capitalise on international tourist flows to the UK, Europe and North America. 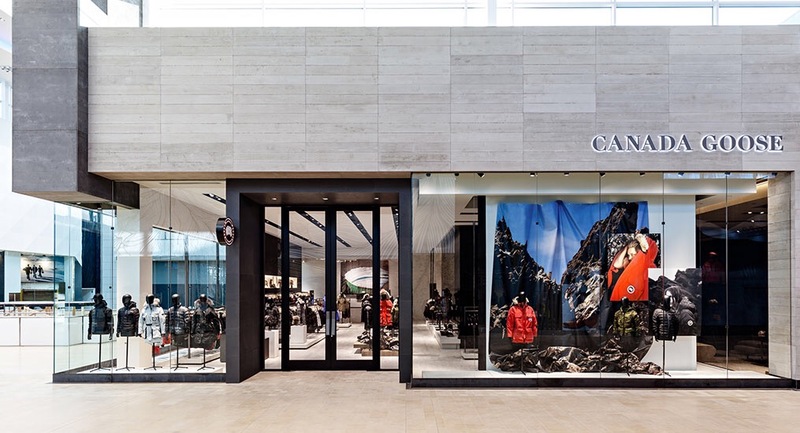 In the near term, the brand’s store network will be enhanced with a new store in Shanghai as well as relocation of its existing stores in Hong Kong and Beijing. Amazon.com has agreed to buy Middle East online retailer Souq.com, thwarting a last-minute bid by Dubai billionaire Mohamed Alabbar’s Emaar Malls, first revealed by Arabian Business on Friday. Dubai’s Crown Prince Sheikh Hamdan bin Mohammed bin Rashid al-Maktoum said it showed the city state’s position “as a regional and global hub for the world’s biggest and leading organisations”. The acquisition is expected to close later this year, according to the joint statement on Tuesday. 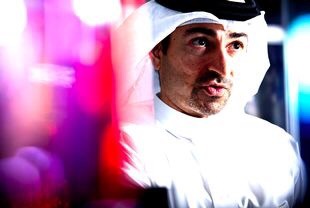 For Alabbar, who made his name as chairman of Emaar Properties, the Dubai government-linked developer of the world’s tallest building, losing out on Souq.com is unlikely to crimp his ambitions to move into e-commerce. He announced last year he planned to launch his own e-commerce firm Noon in partnership with Saudi Arabia’s Public Investment Fund, a soverign wealth fund. 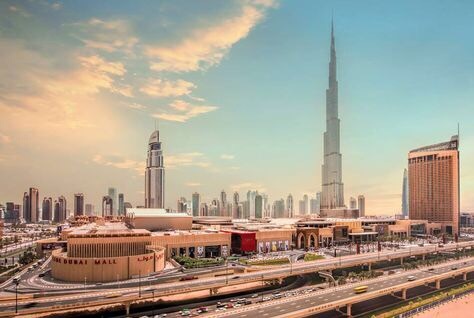 Emaar Malls, the retail unit of Emaar Properties, is the operator of the Dubai Mall, which accounts for around 50 percent of the emirate’s luxury goods spending and is one of the Middle East’s largest shopping centres. South Africa’s Naspers Ltd, which has a 36.4 percent stake in Souq.com, has declined to comment on the Amazon deal. Tiger Global Management also has a stake in Souq.com. The value of the deal was not disclosed, but was in the region of $580 million, according to sources. Swedish home furniture store IKEA announced its own affordable smart lighting system today called Trådfri, which means “wireless” in Swedish. The Smart Lighting range of products includes Trådfri LED bulbs, a remote dimmer switch puck, a gateway kit, a motion sensor kit, and dimming lights. IKEA is also introducing a selection of LED light panels and doors that can be built into cabinets for the bedroom and kitchen. The Gateway starter kit will cost around $80 and includes two bulbs, a remote, and a gateway hub to connect everything to the app. The Trådfri bulbs have three white color temperature options (2200K, 2700K, and 4000K) that IKEA claims each last around 25,000 hours. “The Ikea vision is to bring affordable home furnishing solutions to the many people. We know from research that existing smart lighting technology is perceived to be too expensive and difficult to understand, so we have worked to remove those barriers to make smart lighting more accessible,” IKEA Home Furnishing expert Helen Longford said in a statement. 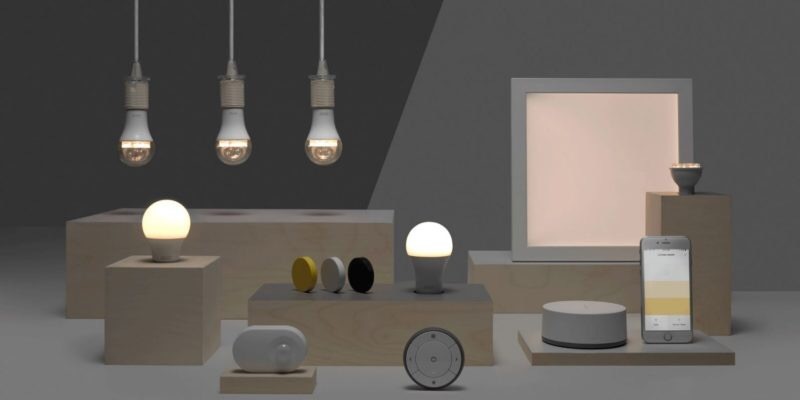 Like the Philips Hue series, IKEA’s first range of automated lighting products is based on the ZigBee Light Link standard that got released in a number European countries late last year and should see a larger rollout at the end of this month. 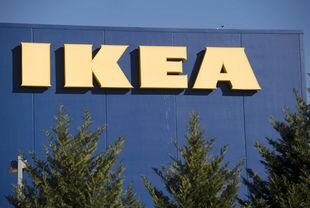 IKEA gives a March 31 availability date for the lighting range in Sweden, with the range expected to arrive in the U.K in April, making them likely to roll out to other countries soon. The IKEA website makes no mention of compatibility with existing smart home platforms like Apple HomeKit, but support for other standards seems likely at some point down the line. The head of Tesco’s international arm Trevor Masters has announced his departure from the company as the retailer shrinks its overseas operations. Masters, chief executive of Tesco International, is set to leave the company at the end of May following a 38-year career with the UK’s largest retailer. 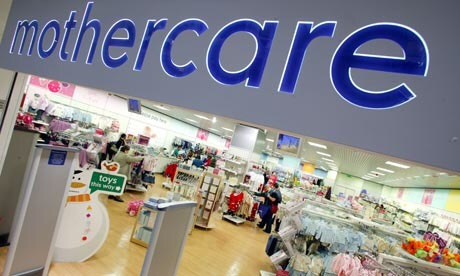 His responsibilities will be split between two senior executives who have played key roles in the retailer’s turnaround. A new report by the New York Times details an array of initiatives by Amazon to expand its footprint in brick-and-mortar retail. The stores would mostly feature products, such as groceries and appliances, that have proven persistently difficult to sell online. Amazon is already moving forward on groceries in particular, and will soon open two Seattle outlets where shoppers can pick up orders made through AmazonFresh online. It aims to open up to five more of these pickup locations across the U.S. by next year. They could be a boost to the grocery delivery service, which sources told the Times has struggled to make a profit. Another idea making the rounds is a larger Amazon grocery store in which shoppers could browse fresh produce and meat, while packaged goods could be assembled into orders by workers in an attached warehouse. The Times’ sources disagreed on whether that concept was still under development. Also apparently in the early stages is an idea for an Amazon electronics store, modeled on Apple stores, that would feature Amazon’s own devices. Another concept is a home furnishings and appliance store that would feature augmented reality ‘showrooms’ to let shoppers both see products in person, and envision what they would look like at home. There’s more certainty about Amazon Go, a convenience store that promises frictionless checkout and payments. Despite technical hurdles, Amazon aims to open Go outlets across Britain and the U.S., also by next year. The report also details a push for physical grocery stores in India, dubbed “Project Everest,” for which Amazon has already sought Indian government approval. Though many of these stores are still little more than concepts or tentative experiments, analysts describe a strategy mixing online and offline retail as crucial to Amazon’s continued expansion. 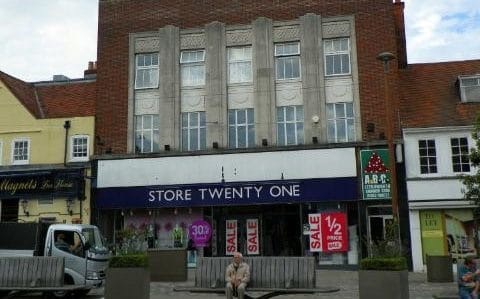 A thousand jobs are at risk at the discount fashion retailer Store Twenty One, formerly known as Quality Seconds, which is in talks with its lenders after defaulting on rent payments. 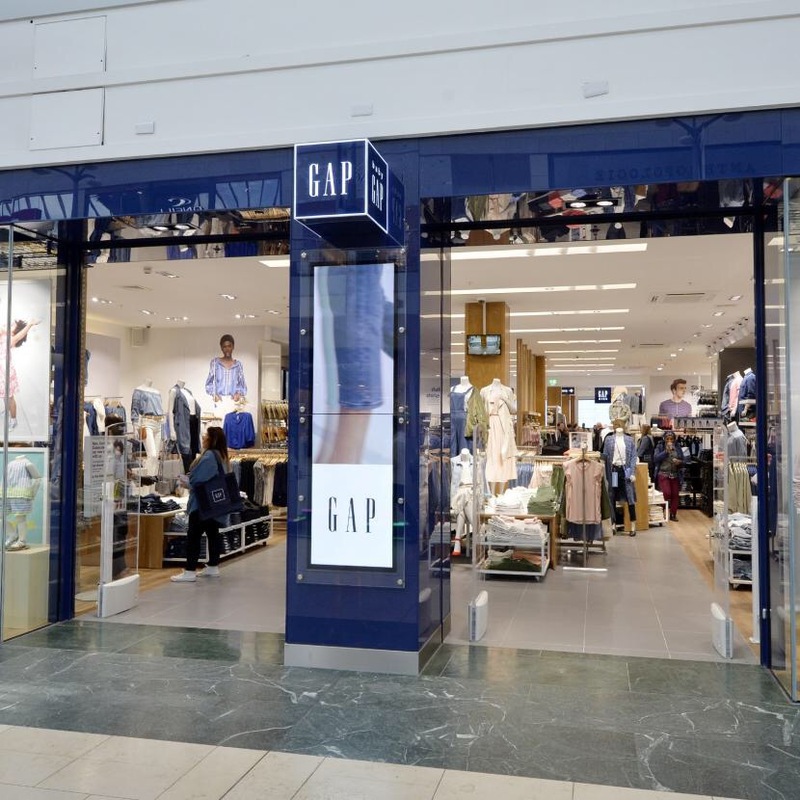 The company struck a rescue deal with creditors last year through a controversial company voluntary arrangement (CVA), but is still struggling as more pain sweeps the high street. Last week Brantano collapsed into administration, Agent Provocateur was sold in a rescue deal to Mike Ashley and Jones Bootmaker teetered on the brink. It is believed Store Twenty One is talking to its lender, State Bank of India, to try to prop up the business as tough trading conditions exacerbate its balance sheet woes. It has apparently not yet broken the terms of its CVA, but a quarterly rent date at the end of March could tip it into a precarious position. Landlords outside the arrangement have complained that the store is struggling to meet payments. The CVA deal last year allowed the retailer to shut 77 shops and persuaded landlords for 17 of its 202 stores to take a 25pc rent cut. Landlords for more than 80 other stores were asked to accept monthly rents rather than quarterly payments. At the time, the business owed more than £2.6m in tax to HMRC and was being pursued by local authorities over unpaid business rates. Other suppliers were due to receive just 10p in the pound. The company, which can trace its roots to 1932, was listed on the stock market until 2002 before collapsing into administration in 2006. It was bought out of administration in 2007 by Grabal Alok, an Indian textile manufacturer, which rebranded QS as Store Twenty One. But the financial crisis meant the State Bank of India had to provide financing. It hired AlixPartners last year to restructure its business and if the CVA fails, it is likely the firm will be appointed as administrator. Store Twenty One’s financial documents reveal it has not made a profit since Grabal Alok took over. 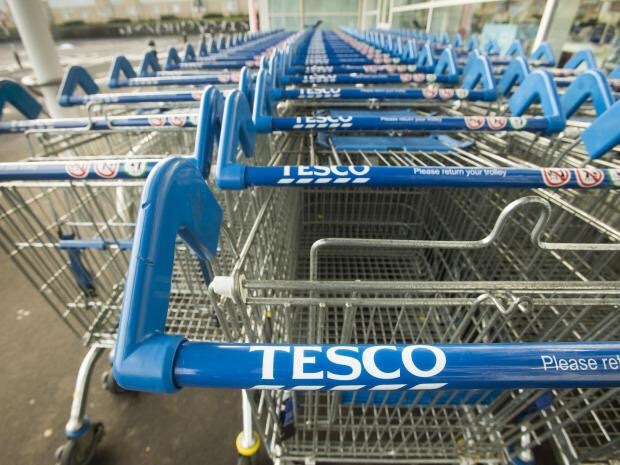 Supermarket giant Tesco will unlock 100,000 of its coin-operated shopping trolleys after it failed to convert them in time for the circulation of the new £1. The new, lighter and reportedly more secure 12-sided coin enters circulation on Tuesday, beginning a six-month transition period before the old “round pound” ceases to be legal tender. Meanwhile, supermarkets such as Sainsbury’s, Asda, Morrisons, Lidl and Aldi have said all of their trolleys have been updated ahead of the Tuesday deadline. Local authorities are already coping with a surge in the number of abandoned trolleys, after a tax on plastic bags came into force that encouraged some shoppers to leave supermarkets with the carts. Tesco said trolleys across “fewer than 200” of its shops will be unlocked from Tuesday as the store upgrades them to accept the new coin. A Tesco spokesperson offered assurances that all trolleys would be upgraded by the time the new round pound ceases to be legal tender on 15 October. “We’re replacing the locks on our trolleys to accept old and new pound coins as well as existing trolley tokens,” they said. It recently emerged that the new £1 coin could pose problems for drivers, with an estimated one in ten parking meters not ready for the change. Online shopping behemoth Amazon has avoided a $1.5bn (£1.2bn) tax bill after winning a legal dispute in a US tax court. Judge Albert Lauber rejected a variety of arguments presented by the Internal Revenue Service (IRS), bringing to an end a lengthy court battle. 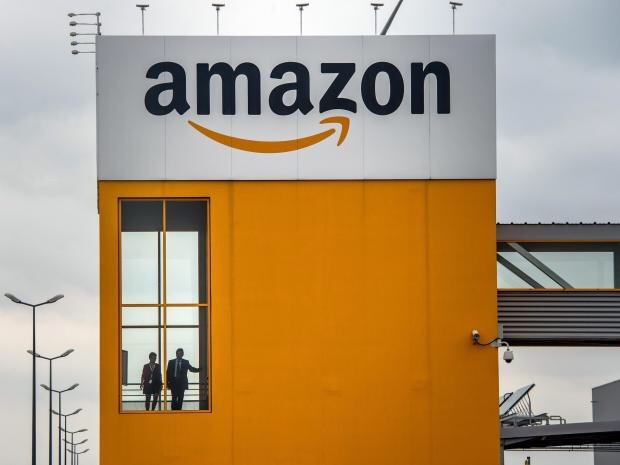 Ruling in favour of the world’s largest online retailer, he said it was legal for Amazon to have funnelled its European sales through a low-tax Luxembourg sub-company in 2005 and 2006, instead of the US. Amazon said that if it had lost it could have had been forced to pay a US tax bill as high as $1.5bn and potentially faced “significant” tax liabilities in the years to come. The company – which according to Forbes is the world’s 12th most valuable brand – made $2.37bn of profit in 2016, four times what it made in the four previous years combined. Yet Amazon could still face additional tax bills in Europe if Brussels officials choose to take further action. A source told Arabian Business: “A deal with Emaar Malls makes a lot more sense both strategically and financially. You have the owner of the biggest malls teaming up with a huge ecommerce platform. That would really drive consumer growth. And of course the bid is for a lot more than Amazon are offering. 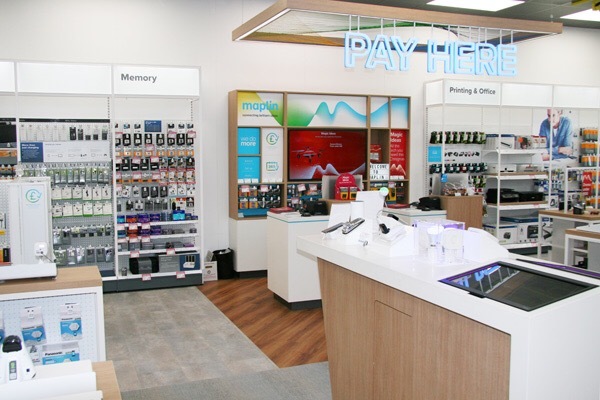 Technology retailer Maplin has unveiled a new store concept in Cambridge, allowing customers to fully engage with the latest Smart Home technology. The 290 sq m space at the Beehive Shopping Centre has been designed in distinct departments to showcase the benefits of, and allow interaction with, smart technology for the home. 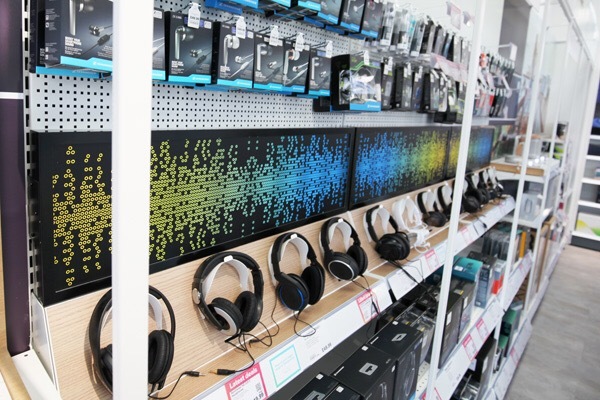 Design consultancy 20.20’s brief was to position Maplin as the go-to retailer for Smart Home products, attracting and engaging with a new type of customer, whilst retaining the retailer’s loyal customer base. When analysing the customer research and market data, 20.20 recognised that advice in the dynamic Smart Home technology sector is being provided by individual brands rather than retailers. 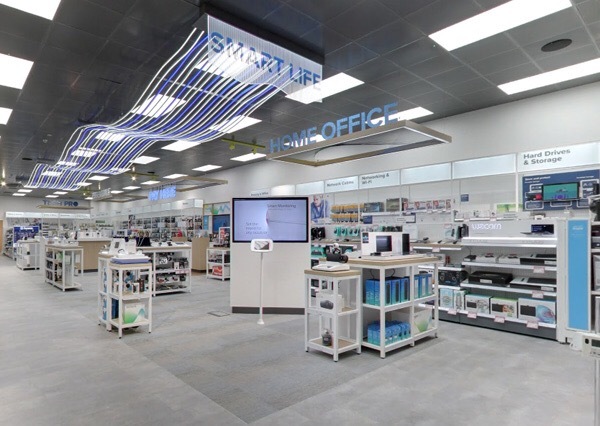 This insight created an opportunity where Maplin could target an already active customer base and take ownership of the sector by enhancing the expertise of their in-store colleagues, to create a new omni-channel store experience. With this in mind, the central area of the store was transformed into a ‘Smart Life’ hub, with a distinctive LED lighting feature above it. Products are set up and displayed on tables, ready for customers to try out. By playing and interacting with the different brands and devices customers are able to see the benefits the technology can bring to their lives. Interactive tablets allow customers to browse product information, helping them make decisions at the point of sale, while store colleagues are on hand to offer advice. A new consultation space has been created where customers can further discuss their requirements, and arrange home audits and installation services with store colleagues. Away from the ‘Smart Life’ area, store adjacencies have been reimagined to improve shoppability – from CCTV to Home Party equipment; to a new Gaming experience; to easier and quicker shopping for Electrical and Digital components. 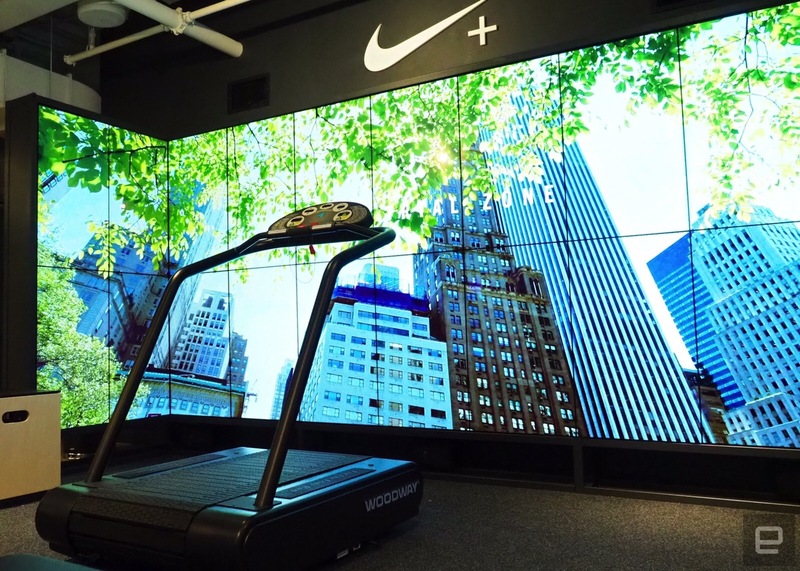 A new in-store communication system has been designed to enhance the product stories through the use of engaging graphics, digital tablets and POS. The idea here is to connect with customers on an emotional level and engage them according to their shopping behaviour, leading to a seamless and confident purchase. Hollie Down, 20.20’s design lead, says this radical new concept store will change the way customers shop and make Maplin the destination retailer for Smart Home technology: ‘We have created a place where today’s customers can understand and engage with exciting new products and interact with friendly, knowledgeable store colleagues to discover and purchase the smart devices they need – whether they want a safer home, a more connected space, or just to be at the forefront of technology. Oliver Meakin, CEO of Maplin, says: ‘We chose to work with 20.20 on our Store of the Future because we felt that they would challenge us to stretch our thinking; making us feel uncomfortable in order to move our store proposition forward. The new store concept has been a fantastic success, with trading significantly outperforming the rest of the chain, and Smart Home sales increases of more than 130 per cent. 20.20 is currently taking the learnings from the Cambridge pilot store and developing the Smart Store concept for a further six sites, rolling out early in 2017. 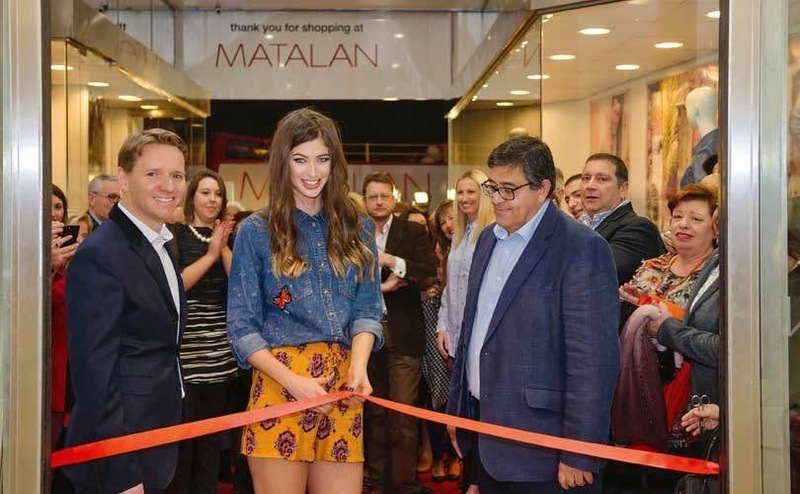 London – Fashion and homeware retailer Matalan has expanded its international footprint with the opening of two new stores in Malta. The new stores, located in the centre of Sliema and Fgura, Malta, offer Matalan full range of products, including menswear, womenswear, childrenswear and accessories as well as homeware. The two new stores, which employ 60 members of staff, follow on from Matalan previous stores openings at The Strand in Sliema and Zabbar Road, Fgura. All of Matalan stores in Malta are operated by the retailer’s local franchise partner, the Camilleri Group. “We are thrilled to be opening our first stores in Malta, trading has been very strong in both of our new stores exceeding our expectations; we have been delighted by the local customers’ reactions to our product ranges and our competitive price position,” commented *Damian Hopkins, International Director at Matalan. *The new stores build on Matalan’s international portfolio, which counts 23 stores. Matalan opened its first international franchise store in Dubai in 2010 and has developed a strong international presence throughout the Middle East region since then. 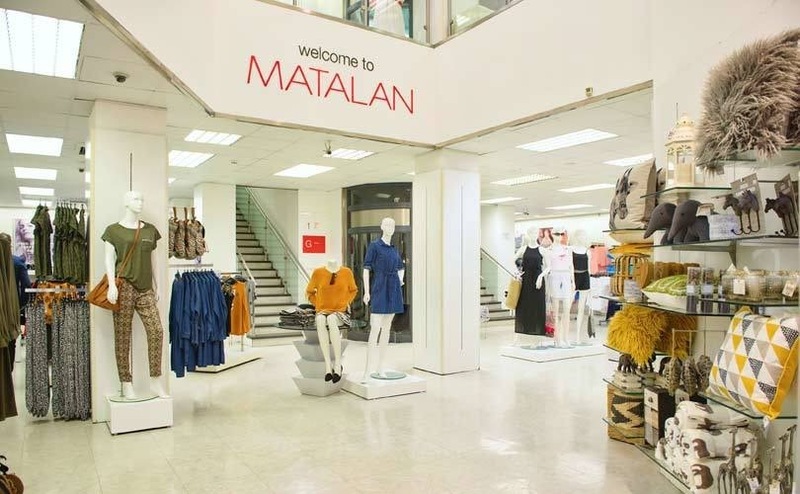 At the moment Matalan is currently looking to expand in other Eastern Europe countries, following its debut store opening in Armenia in October 2016. Matalan currently operates 227 stores throughout the UK in addition to its e-commerce platform and 25 overseas franchise stores. UAE-based Al-Futtaim is seeking to open new stores in Egypt while stepping into Oman, according to a senior company executive. “We are currently working on expansion in Muscat, Oman, and are still studying the possibility of opening more stores in Egypt and some other countries,” John Kersten, managing director, Ikea, told Arabian Business. At present, Al-Futtaim holds franchise rights for the UAE, Qatar, Egypt and Oman. In the UAE, it will open its fourth store by early 2019, while its first store in Egypt’s Cairo Festival City was opened in 2013. According to Kersten, Ikea has reduced prices on 2,500 items this year in the UAE – a practice that it follows year-on-year. “If you take the catalogue from the UK or the US and the UAE, you will have some pleasant surprises there. We do lower our prices every year,” he said. The company executive revealed despite 2016 being a tough year, sales have not dropped in the UAE. “Normally, if times are getting worse, it is getting better with Ikea. We had a quite a magnificent year,” he said, without providing details. 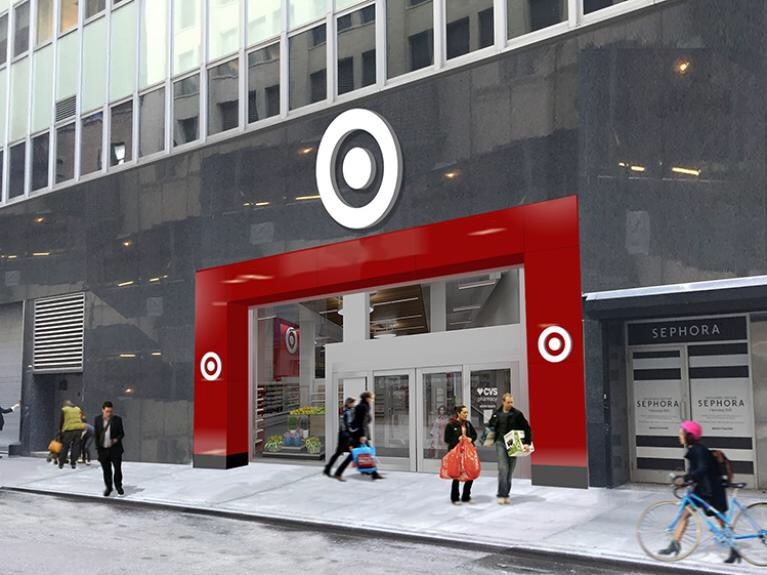 Target Corp. is bringing its small-format store to the heart of Manhattan. The discounter plans to open its first location in midtown Manhattan, a 43,000-sq.-ft. store in Herald Square, just west of the 34th Street and Broadway intersection, and one block from Penn Station — and across the street from the Macy’s flagship. The two-level store will have two entrances, one off of 34th Street, and the other off of 33rd Street, and will feature modern décor elements, including concrete floors, wood plank walls and ceilings, pendant and LED lighting and elevated merchandise assortment displays. Projected to open in October 2017, the Herald Square store will be one of 30 stores Target plans to open this year, and will be the company’s third location in Manhattan, joining the Harlem and Tribeca stores. Additionally, Target has previously announced future plans to open small-format stores in Manhattan, including sites in East Village (projected to open summer 2018) and Hell’s Kitchen (projected to open in 2019). Target has signed a lease for the Herald Square location with Empire State Realty Trust. EBay Inc. EBAY, +0.33% said Monday it will roll out “Guaranteed Delivery” in the U.S. this summer, which will guarantee delivery in three days or less on 20 million items. The online auction company will also provider shoppers to search for items available for 1-day and 2-day delivery. The service will be provided at no additional cost, the company said. “While the majority of items on eBay already ship within 3 days or less, as well as for free, Guaranteed Delivery will give shoppers even faster delivery options and the confidence that their items will arrive on time,” said Senior Vice President of North America Hal Lawton. The stock, which was still inactive in premarket trade, has climbed 13.5% year to date, while shares of rival e-commerce giant Amazon.com Inc. AMZN, +0.55% has run up 13.6% and the S&P 500 SPX, -0.20% has gained 6.2%. There are plans to open more stores in malls across New York state, New Jersey and Connecticut. The retailer reported “significant growth” in the second year of its US ecommerce business in its last full-year. It unveiled surging profits against strong comparables despite a “difficult trading environment”. Pre-tax profits, excluding exceptional items, were up 50% to £17.2m in its full-year to March 26. 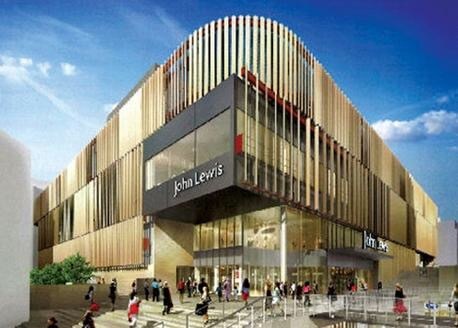 Sales rose 12.6% to £184.3m in the 12 months, during which the retailer opened two new stores in Meadowhall, Sheffield, and Birmingham. It now has 56 stores across the UK. 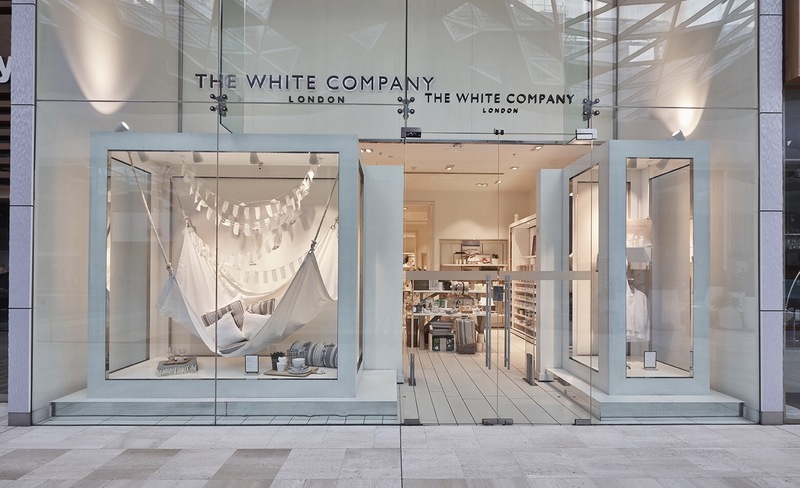 Boss Will Kernan departed last month, following five years at The White Company, to join specialist sports retailer Wiggle, replacing Stefan Barden at the helm. The United Kingdom is the world’s sixth largest economy, with a retail market estimated at $358 billion for 2016. As one of the world’s oldest and most mature economies, the UK will not grow at a rapid pace, certainly not with Brexit waiting to become a huge spanner in the works of the UK’s future growth prospects. Nevertheless, it is a multi-hundred-billion-dollar economy that will, at least, grow in low single digits over the next few years. The UK’s e-commerce market has been growing steadily over the years, and should continue to help the economy’s growth engine chug along over the next several years. Arguably the most famous retailer to invade England, Amazon recorded 6.3 billion pounds ($9.03 billion) in sales from Britain in 2015, an increase of 8 percent over the year before. Amazon’s international sales were $35.418 billion in 2015, which means UK retail has been contributing nearly a fourth of Amazon’s entire overseas sales. On the ground, Tesco, the UK’s largest retailer, reported nearly $43 billion in sales from their home market in 2016, and the company is struggling to keep sales growing. With more than 6.3 billion pounds from the UK to its name, Amazon is slowly inching up in the UK market. Amazon is a relative weakling compared to big box retailers like Wal-Mart and Tesco, especially when it comes to grocery retail. And that’s fortunate for the likes of Tesco and Sainsbury’s in the UK, and Wal-Mart, Costco, Target et al back in the U.S.
That makes Amazon’s success and ongoing progress in the UK retail segment even more significant. 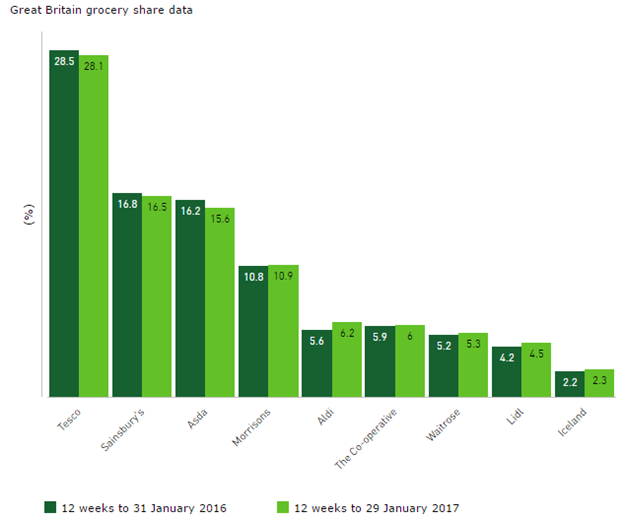 According to data from Kantar.com, Amazon is not even in the picture as far as the UK’s grocery retail segment is concerned. It is one of Amazon’s known achilles points, and it will take years for their grocery efforts to bear fruit, in a manner of speaking. On the positive side (for Amazon), the bulk of their growth in the UK is coming from the non-grocery segment, which means they’re eating into that market – consumer electronics, books, digital products, smart devices and so on – much faster. Too fast for the comfort of companies like Tesco, in fact. And Amazon is not about to stop pushing in the UK retail market. The more Amazon’s gross merchandise value grows in a particular region, the higher Amazon’s investment in fulfillment centers, logistics and other capital expenses in the region. As investments increase in lockstep with the size of Amazon’s business in that region, margins will slowly keep improving, as they’ve already shown in the United States. Canada Goose, the maker of trendy $900 parkas, soared to new heights as it debuted as a publicly traded company on stock exchanges in Canada and the United States. 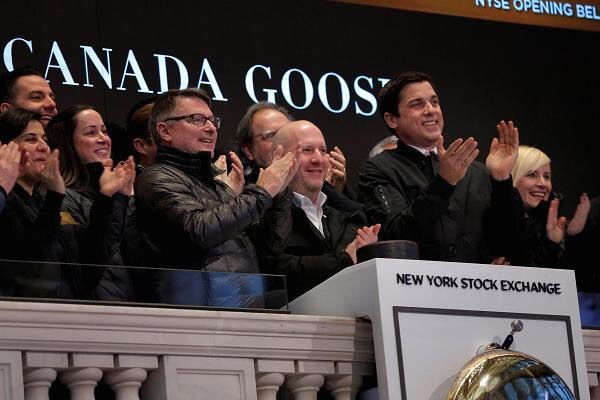 On Thursday, Canada Goose’s stock most recently traded at $16.58 on the New York Stock Exchange, about 8% below the opening price of $18 apiece. 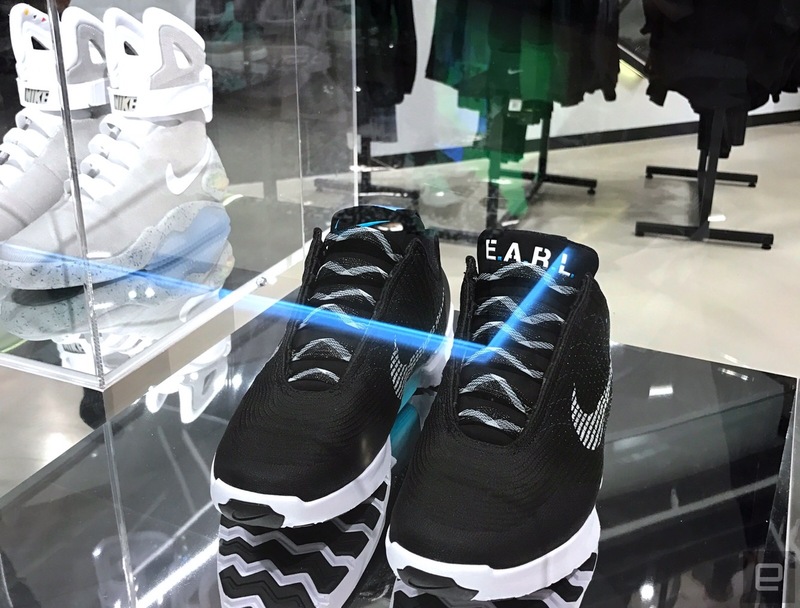 Shares also debuted on the Toronto Stock Exchange, where the company’s price-to-earnings valuation is higher than all other luxury goods companies. The stock is trading under the symbol GOOS on both exchanges. Private-equity firm Bain Capital, which acquired a 70% stake in Canada Goose in late 2013, will continue to own a controlling interest after the IPO. Founded 60 years ago in Toronto, Canada Goose has won over celebrities, athletes, film crew workers and even scientists as a specialist in selling expensive cold-weather outwear pieces that feature prominent logo patches that say “Canada Goose Arctic Program.” The company’s revenue totaled $290.8 million in fiscal 2016, up from $152.1 million two years earlier. Roughly two-thirds of sales are derived from Canada and the U.S. Brand awareness is strongest at home, where 76% of those surveyed are aware of Canada Goose. The company sees potential to grow in foreign markets. Even in the U.S. where it has made the most inroads, there is more work to do. Brand awareness in that market stands at only 16%. Canada Goose has sought to tackle the U.S. region more aggressively via a national e-commerce that launched in 2015 and by opening a retail store in New York City late last year. It says there is large white space in other regions, including the Midwest and Pacific Northwest. More broadly, Canada Goose wants to expand wholesale distribution by adding new stores and getting more volume at existing retailers. It also wants to accelerate e-commerce sales. One of the greatest challenges Canada Goose may face is diversifying a brand that is today mostly known as a purveyor of expensive winter parkas. Canada Goose already warned in IPO filings that warm winters could pressure sales for the company’s bulky jackets. To help lessen that business risk, the company will have to try to develop other apparel and accessories where the Canada Goose brand makes sense. Zara’s is trying an unusual strategy as brick-and-mortar retailers are desperate for more foot traffic – bigger stores. Zara’s newest store in La Coruna, Spain, which opened in September, is five stories with more than 54,000 square feet and is serving as a model for other flagship stores. Meanwhile, the women’s clothing and accessories retailer, owned by Inditex SA, is shuttering smaller stores, although it hasn’t said how many, according to the Wall Street Journal. 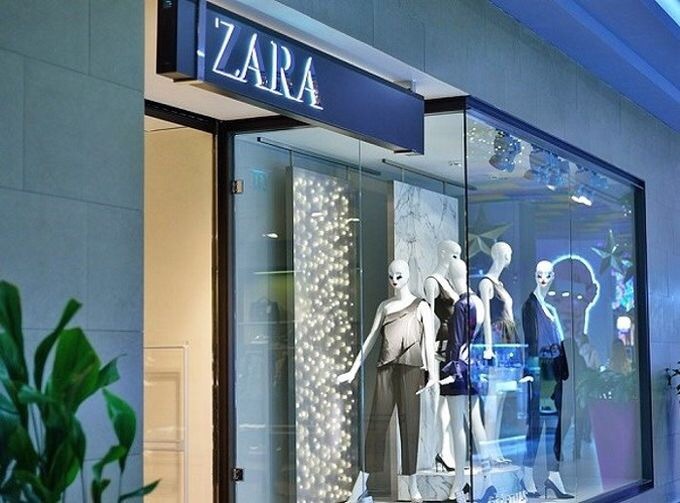 Zara’s is aiming to avoid Guess-type losses with its plan for larger flagship stores and rapid inventory turnover. The 10,000 square foot store on Bluewater’s lower Rose Gallery is situated next to the forthcoming Missguided shop, which is set to launch this summer. Created by an in-house team, the new shop is the first of a new breed of UK concept stores for the fashion brand and includes women’s, men’s, kids and baby collections, as well as GapFit and Gap Body items. The store also features Denim Addict, which allows shoppers to personalise their denim with distressing, studs and patches. In addition, other products can be embroidered with names and initials. The news follows the recent Plaza enhancement plans released at Bluewater which include the creation of four additional screens for the Showcase Cinema de Lux, as well as three new restaurants and two dedicated leisure spaces. Work has begun on-site and is due for completion by Christmas this year. Kent was chief executive of real estate portal Propertyfinder until its acquisition by Zoopla, and also spent 15 years with Microsoft including three years as managing director of MSN UK. She currently holds non-executive director roles at Pendragon, National Accident Helpline Group, Ascential, Coull and No Agent Technologies. Kent will serve on the Audit and Risk and Nomination Committees. 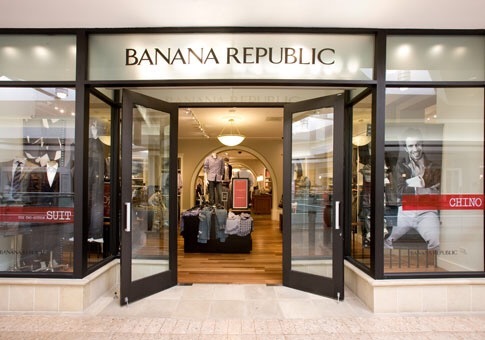 Breitbard will report to Art Peck, president and chief executive of Gap, who will continue to directly oversee Banana Republic until Breitbard joins the company in early May. Breitbard’s was chief executive of The Gymboree Corporation from 2013 until early 2017. From 2010 to 2013, he held leadership positions across Gap North America where he was instrumental in delivering the product-led resurgence of Gap’s North America business. He also served as chief merchandising and creative officer of Old Navy from 2009 to early 2010. Other previous positions include leadership roles at Levi Strauss and Abercrombie & Fitch. The new collection follows the launch of John Lewis’s first luxury ready-to-wear range, Modern Rarity, last September. 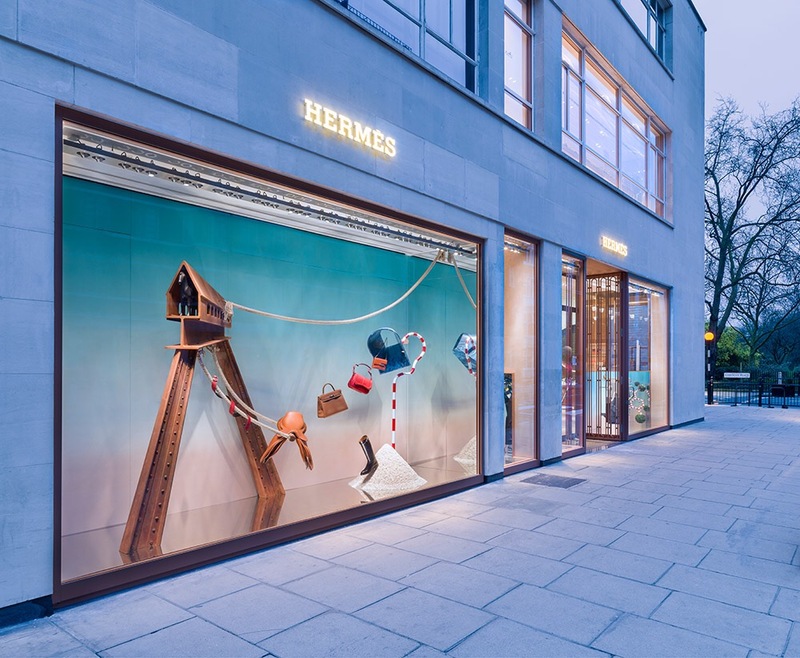 The launch helped the retailer’s own-brand womenswear sales to increase by 6.8% in the last financial year. All three of the new store pages include invitations for their respective grand openings at 10 AM on March 25th. 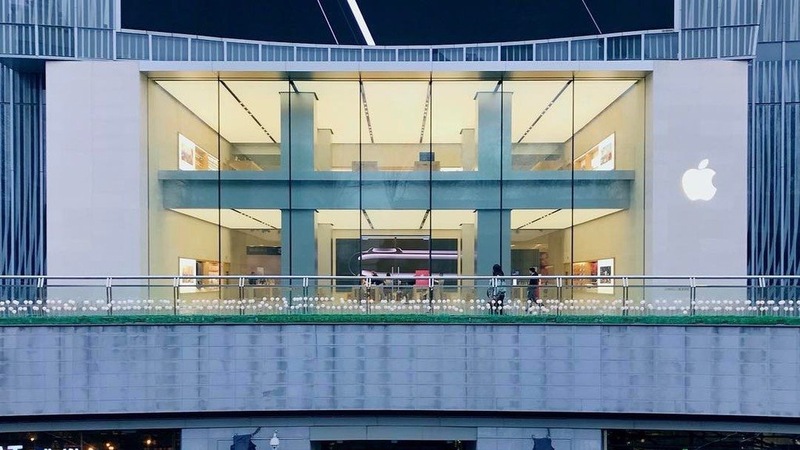 While not yet listed on the Brickell City Centre’s shop directory, the new Miami store’s page is on Apple’s website and is set to be the largest in the state. The shopping mall contains an open-air design built to facilitate natural climate control thanks to the nearby Biscayne Bay. Both the Nanjing Jinmao and Schildergasse stores already have a list of upcoming events and workshops, although registration for these looks temporarily disabled ahead of the grand opening. 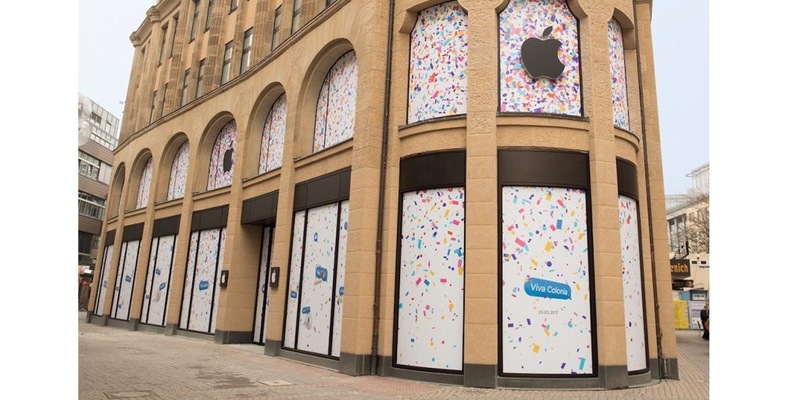 We can most likely expect that these new stores will be fashioned with the Jony Ive aesthetics. 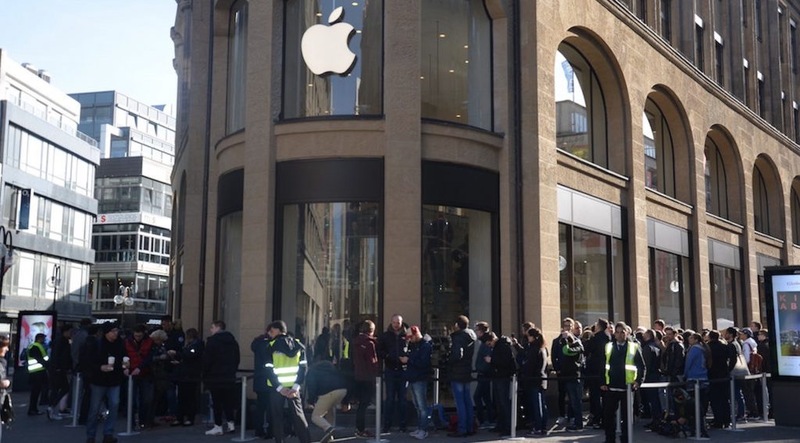 At past Apple store launch events, Apple has celebrated the event by giving away shirts for some of the early customers. 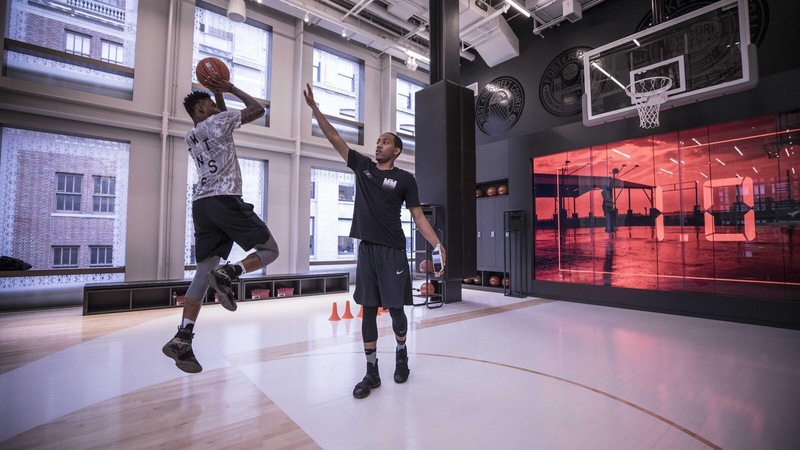 Sean Madden, senior director of service and experiences for Nike’s direct-to-consumer division, says the tech inside the store isn’t meant to be the main attraction. Instead, he says these features are designed to make the shopping experience more personal. 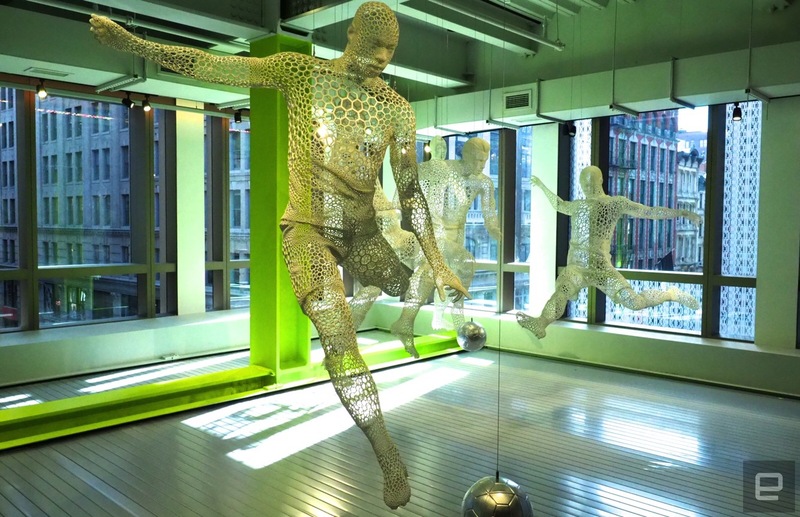 With the hoop, for example, the Kinect sensors are there to capture movements from your body and display those on a massive screen in front of you. That being said, the idea is obviously that you’ll use that area to try on shoes you’re interested in. I went inside the store, which happens to be near Engadget’s NYC office. Here’s what else I came across during my tour. Shoppers and pedestrians walk past an Urban Outfitters store in the Center City neighborhood of Philadelphia, Pennsylvania. Urban Outfitters isn’t in any rush to sign leases on new stores. Instead, as the company’s two largest brands have reached what CEO Richard Hayne considers the optimal number of U.S. locations, he’s waiting patiently for the right space to become available. Until that time, the retailer will hold off on any making any plans to relocate some of its Urban Outfitters or Anthropologie stores, or open additional Free People shops. “It makes little sense to enter into many new, long-term leases at this time when all signs indicate that a similar lease will be less expensive in the near future,” Hayne said on the company’s fiscal fourth-quarter earnings call. “Our industry, not unlike the housing industry, saw too much square footage capacity added in the ’90s and early 2000s. Thousands of new doors opened and rents soared. This created a bubble. And like housing, that bubble has now burst,” Hayne said. The retailer operates roughly 200 Urban Outfitters and Anthropologie locations in the U.S., and nearly 130 Free People shops. It plans to open 15 new stores in North America this year, a pullback from 26 and 29 over the two previous years, respectively. Meanwhile, the glut of apparel stores has created a deflationary environment, as chains are strongarmed into discounting to generate store traffic. That trend plagued Urban Outfitters during the fiscal fourth quarter, particularly at its namesake and Anthropologie stores. Hayne doesn’t expect that pressure to moderate anytime soon. 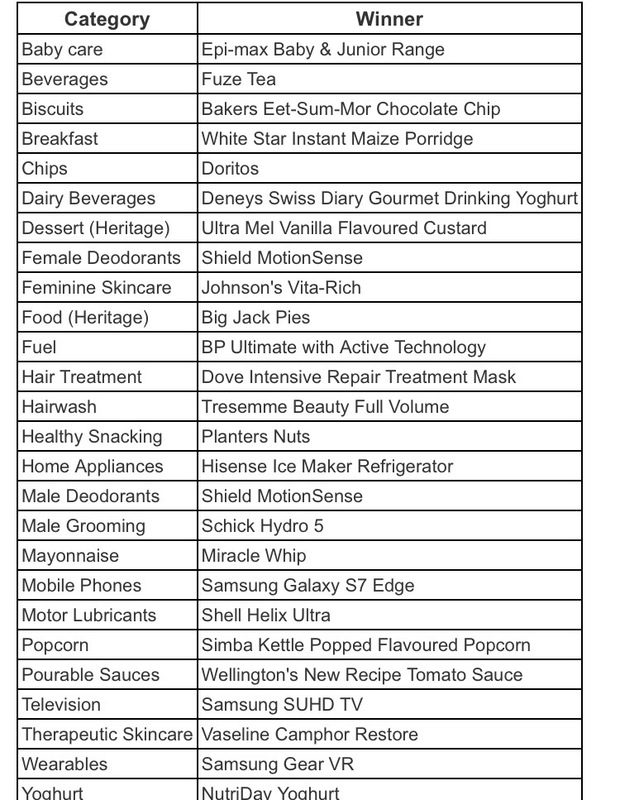 The chain forecasts similar promotional headwinds will weigh on its results in the fiscal year that just got underway, causing its gross margin to contract. 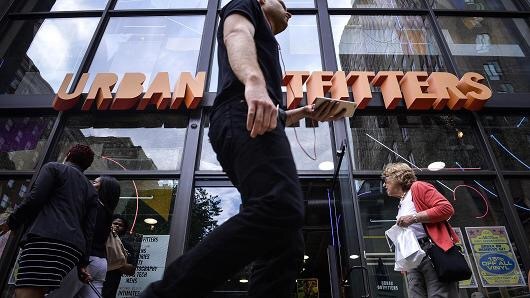 That outlook, combined with a weak earnings forecast for the fiscal first quarter, contributed to a nearly 5 percent decline in Urban Outfitter’s shares on Wednesday. “All in, this is a rocky start to fiscal year 2018, with an extremely negative margin outlook and little hope for near-term top-line turnarounds in the two largest brands,” Wells Fargo analyst Ike Boruchow told investors. TK Maxx is officially coming downunder. The U.S. retailer will roll out a slew of standalone stores across Australia, replacing the current Trade Secret shops in operation, which TJX, the parent company of TK Maxx, bought in October 2015 for AU$80 million (US$60.59 million). 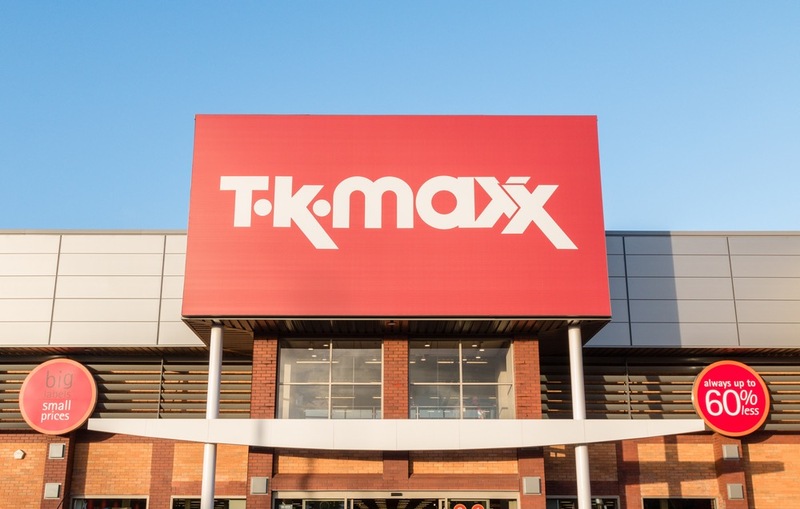 TJX has continued to operate the stores under the Trade Secret mantle for almost 18 months, but will refit 35 Trade Secret stores and relaunch them as TK Maxx from April. Brand new stores are also planned to open later in the year along the east coast of Australia. 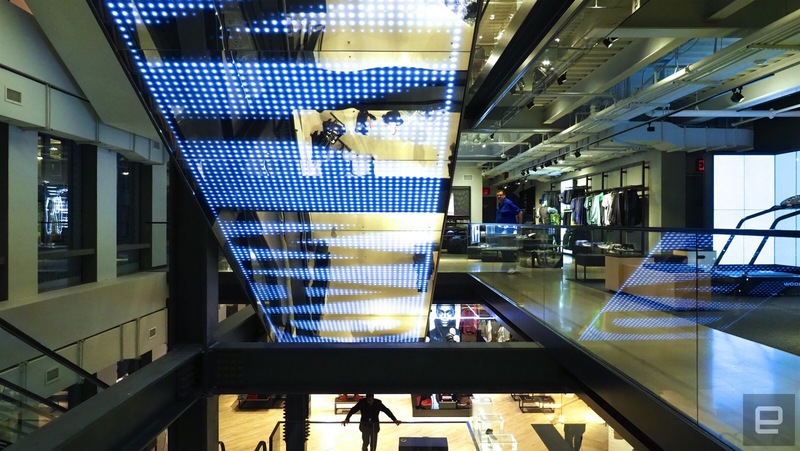 The retailer’s entry is set to sting local department store majors Myer and David Jones, as well as local apparel and lifestyle chains, with some still licking their wounds after fast-fashion giants H&M and Zara continue to dominate the Australian retail landscape. Last month, four local fashion retailers — David Lawrence, Marcs, Rhodes & Beckett and Herringbone — went in to voluntary administration resulting in several store closures. All are still in search of a rescue buyer. Meanwhile, discount store Payless Shoes fell victim to bankruptcy in December 2016, and failed to attract an investor, leading to the closure of all Payless Shoes Australia stores earlier in the year. TJX owns 3800 retail stores worldwide, including 500 TK Maxx stores, as brands TJ Maxx, Marshalls and HomeGoods. The company operates stores in the UK, Ireland, Germany, Poland, Austria and the Netherlands. TJX’z global sales hit $US33.1 billion in the last financial year. Affordable luxury brand Ted Baker has opened its newly renovated Tokyo flagship store, as well as two new shop-in-shops within prominent department stores. 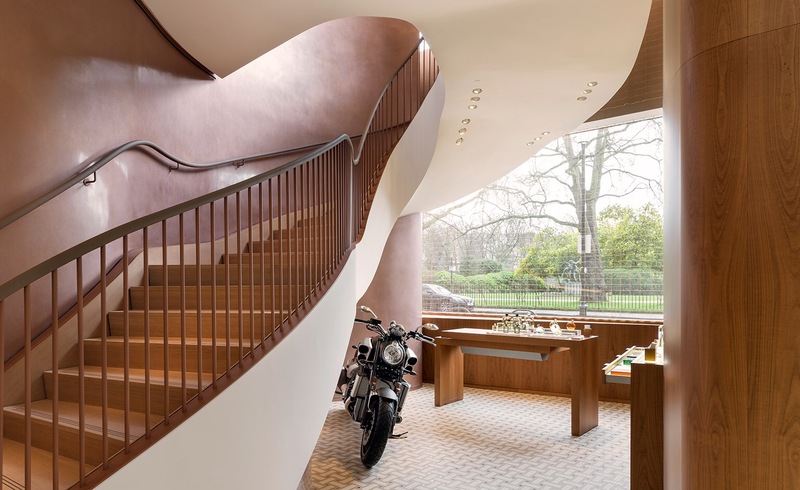 Located in the Japanese capital’s hip Omotesando district, the newly developed Ted Baker store has moved into a 4,500 square foot space. Previously the home of Marc Jacobs, the outfit spans three floors and houses the British brand’s latest fashion and accessories offerings, including a men’s bomber jacket and a women’s lace jacquard dress, designed specifically for the Tokyo store. The boutique sits just off its former flagship spot, which it opened in 2012, before closing it for renovations last October. The redesign, which boasts wall panels inspired by computer circuit boards, technical blueprints, steel and brass, marks a significant retail shuffle in Asia for Ted Baker, in which the fashion chain hopes to present British style that is inline with Japanese taste. In mid-February, Ted Baker also opened a corner at the Takashimaya department store in Nagoya, and a corner at the Marui City department store in Yokohama just two weeks later. 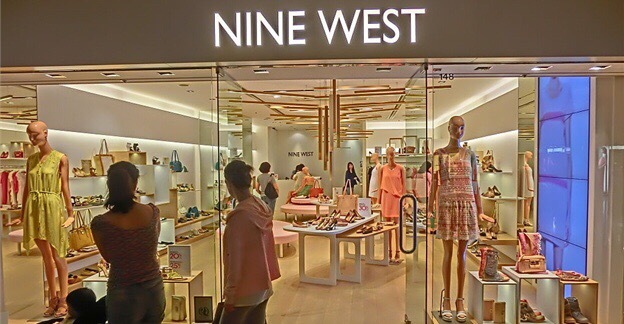 Which is why the fashion chain has no plans to launch a Japan-dedicated platform in the near future, said Kelvin. Currently, Ted Baker is only available online in Japan through the multi-brand site Zozotown. 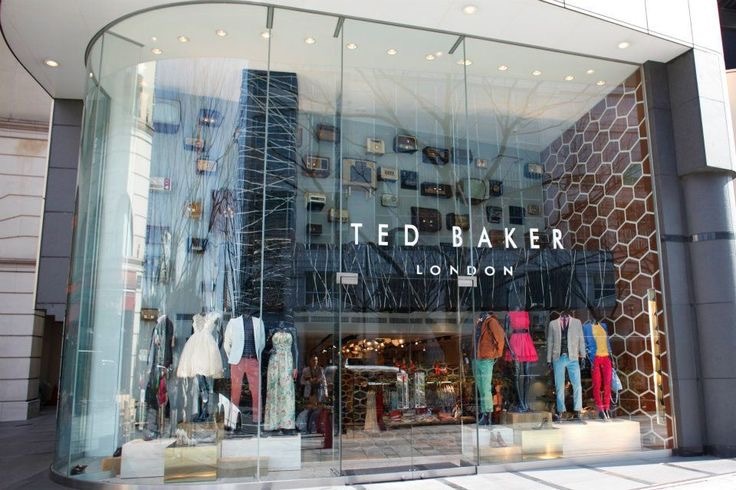 The UK-based Ted Baker saw holiday sales rise 17.9% over the eight weeks to January 7. 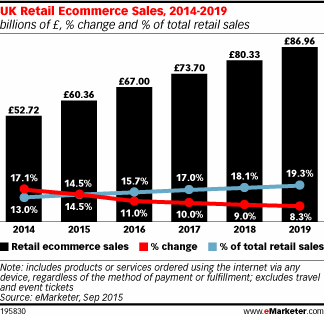 Ted Baker cited a surge in e-commerce sales, both domestically and abroad, for the gains, with e-tail sales up 35%. Footwear retailer Aldo has appointed David Bensadoun as its new chief executive, to replace current boss Patrick Frisk. Bensadoun first joined the Montreal-based retailer – which has several stores in the UK – in 1995 as a project manager before working his way up to president of the Aldo Group in North America. He is also the eldest son of founder Aldo Bensadoun, and he is slated to start his new role on April 3. The news comes amid other senior management changes at the global retail chain, including the appointment of Norman Jaskolka as deputy chairman of Aldo Group. Frisk was thanked by the new management team for his work at Aldo. 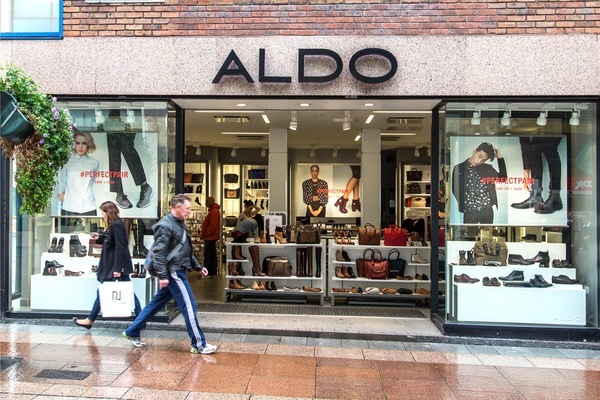 “Frisk has been instrumental in helping the Aldo Group reach new heights as we continue to build our business and culture around the world,” Aldo Bensadoun said. It said the changes would result in a net increase of about 1,500 positions, increasing the number of staff serving customers on the shop floor. 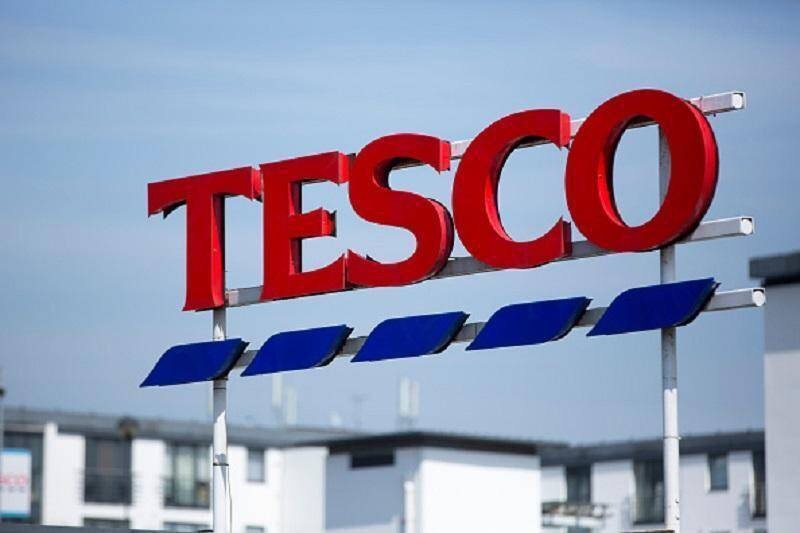 LONDON: Britain’s biggest retailer, Tesco , is replacing 1,700 deputy managers at its “Express” convenience stores with lower paid “shift leaders” in a restructuring of the business, it said on Monday. The supermarket group, which agreed a 3.7 billion pound ($4.6 billion) merger with wholesaler Booker last month, said it would abolish deputy manager positions at its 1,800 Express stores and instead create 3,300 shift leader roles. 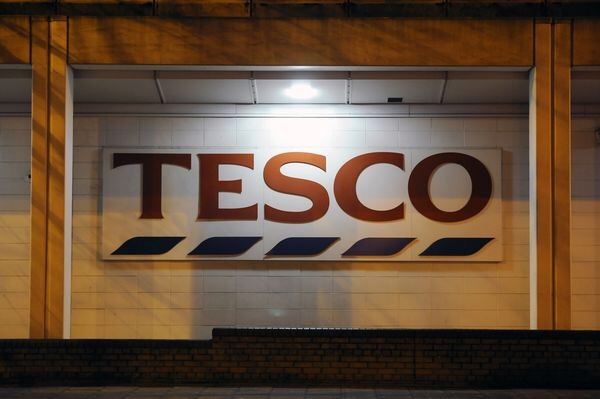 This week, about 1,700 deputy managers will begin a 60-day consultation process and would be offered shift leader positions, alternative roles in other Tesco stores or redundancy. “For any that do make the change from deputy manager to shift leader we’ll be financially supporting them,” a Tesco spokesman said. In October, Tesco Chief Executive Dave Lewis set out a plan to earn between 3.5 pence and 4 pence of operating profit for every pound spent by shoppers by 2019-20, up from 2.18 pence now. The plan was predicated on sales rising and operating costs being cut by 1.5 billion pounds through efficiencies in stores and its distribution network, as well as from procurement savings. Last month Tesco proposed a shake-up of its distribution network that would result in the loss of a net 500 jobs. Tesco is Britain’s biggest private sector employer with a staff of more than 310,000. 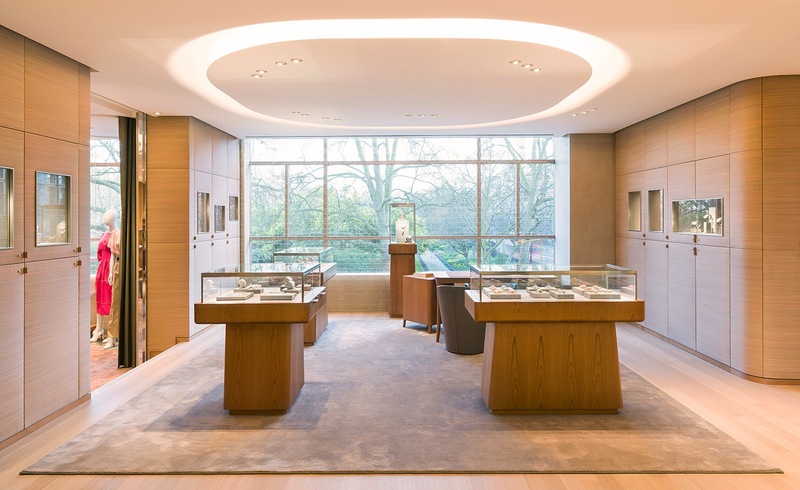 The property was purchased by The Schroders MLIPUT for £4,968,000, reflecting a net initial yield of 6.24 per cent. A Trafford Park industrial scheme has been sold for just short of £5m as investors – and occupiers – take advantage of the surge in shed values. B8 Real Estate, acting on behalf of Aviva Investors, have sold a three-unit 64,924 sq ft multi-let industrial estate situated in a prominent location adjacent to the Parkway Circle roundabout in Trafford Park. The property was purchased by The Schroders MLIPUT for £4,968,000, reflecting a net initial yield of 6.24%. John Burrows of B8 Real Estate commented, ”We are pleased with the extremely strong level of interest generated, resulting in a host of bids being received for the property. Schroders MLIPUT were represented by Cushman & Wakefield. 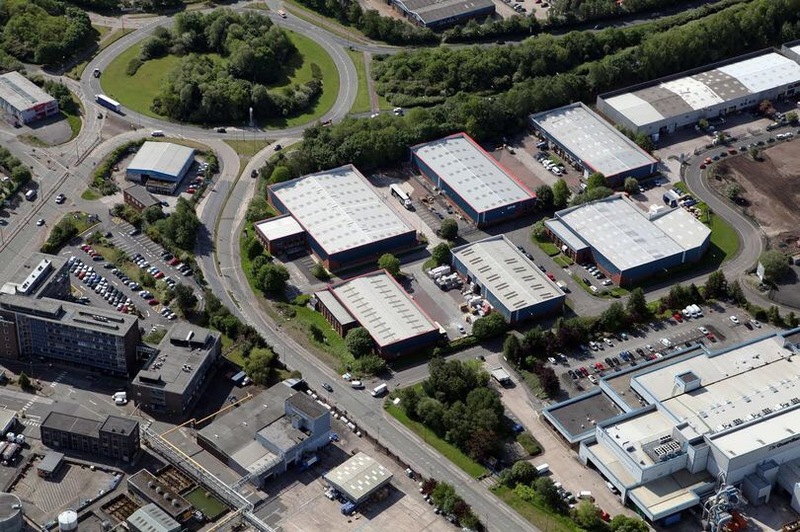 The sale and leaseback agreement has seen Property Alliance acquire the company’s 41,500 sq ft unit in Bredbury, Stockport for £2.5m. 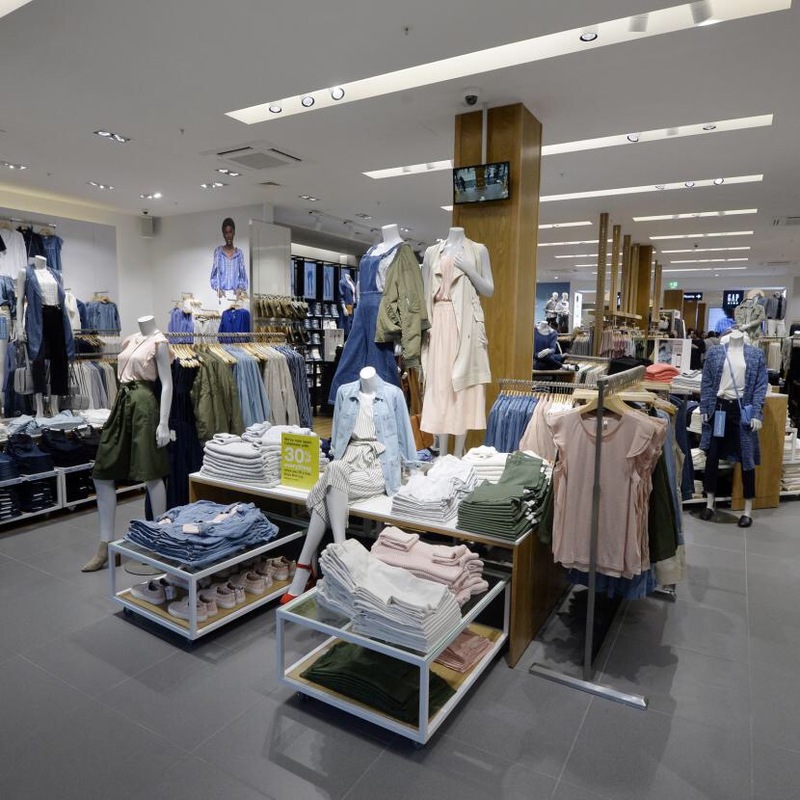 Woodstock Leabank has agreed a 10-year lease with Alliance for the space, paying a rent of £5.50 per sq ft.
Feb 28: Forever 21, a leading fast fashion brand from Aditya Birla Fashion and Retail Ltd (ABFRL), part of the Aditya Birla group, is further strengthening its foothold in Mumbai with the launch of its 4th store, taking the total count to 15 stores in India. Forever 21 is a California-based fast fashion brand that entered the Indian market in 2010. In July 2016, ABFRL acquired the exclusive online and offline rights to Forever 21’s India network from Diana Retail Pvt Ltd.
“Having established a strong affinity with fashionable Indians in Mumbai, Delhi, Bangalore, Chennai, Pune and Hyderabad, Forever 21 creates a new fashion destination for the uber-stylish Mumbaikars with its 4th store at Phoenix Market City. Bringing global trends and runway fashion closer to the fashionistas, Forever 21 promises to provide a fashion journey with the latest looks and Spring Summer 17 collection,” said a company statement on Tuesday. 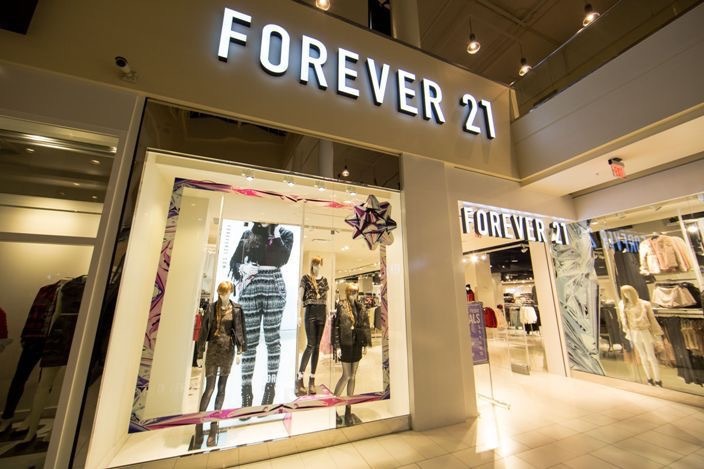 Complementing Forever 21 apparel and accessories, the new store will feature the retailer’s other brands, including 21MEN-a line of fresh, fast fashion for men of all ages, Love & Beauty-a cosmetics line and Forever 21’s lingerie and shoe line. Based in Mumbai, Aditya Birla Fashion and Retail Ltd manufactures and retails clothing, footwear, and leather products. ABFRL was formed after the consolidation of the branded apparel businesses of Aditya Birla Group comprising Aditya Birla Nuvo Ltd’s (ABNL) Madura Fashion division and ABNL’s subsidiaries Pantaloons Fashion and Retail Ltd (PFRL) and Madura Garments Lifestyle Retail Company Ltd (MGLRCL) in May 201 Post the consolidation, PFRL was renamed as Aditya Birla Fashion and Retail Ltd.
ABFRL shares were trading at Rs 159.65, up 1.40% from the previous closing of Rs 157.45, on BSE at 11.43 am today. Sir Philip Green has agreed to hand over £363m in cash to rescue the BHS pension scheme, and settle one of the biggest City rows of recent decades. The deal with the Pensions Regulator, which is likely to help the billionaire keep his knighthood, follows the controversial collapse of the BHS department store chain last April, which led to the loss of 11,000 jobs and left a pension deficit assessed at £571m. A high-profile parliamentary investigation into the demise of BHS concluded that the company had been systematically plundered by its owners and described the hole in the pension fund as “the unacceptable face of capitalism”. MPs voted in favour of stripping Green of his knighthood. The billionaire tycoon owned BHS for 15 years until he sold it to Dominic Chappell, a former bankrupt, for just £1 in March 2015. 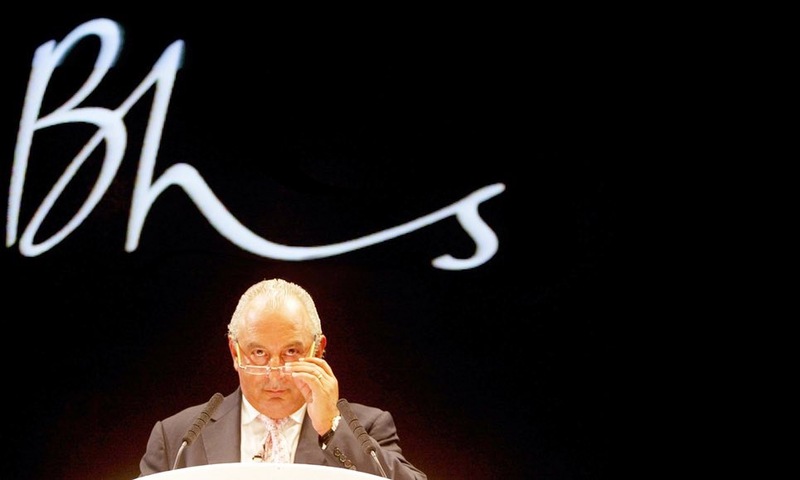 During his ownership, the Green family and other shareholders collected at least £580m from BHS in dividends, rental payments and interest on loans. Green said the settlement with the regulator, which is supported by trustees of the BHS pensions scheme, represented a “significantly better outcome” for former BHS staff than the scheme entering the Pension Protection Fund, the government’s pensions lifeboat. The pensions deal should calm the reputational storm which has engulfed Green, the self-styled king of the British high street. The 64-year-old fashion tycoon, who also owns Topshop, Wallis, Miss Selfridge and Burton, has been forced to curtail his public appearances since the scandal, including missing Topshop’s London Fashion Week show, where he usually has a front row seat. Public anger over Green’s apparent reluctance to address the pensions gap focused on the tycoon’s £100m 300-foot superyacht, which was delivered as BHS collapsed, along with a new £46m private jet. He lost his temper on TV when approached in a Greek port by journalists and protesters fixed a “BHS Destroyer” banner to the yacht in harbour. The pension settlement comes after the Pensions Regulator started legal action against Green last year in an attempt to force him to contribute cash to the pension scheme. This enforcement action has now been halted against Green, but legal proceedings are continuing against Chappell and his company, Retail Acquisitions, which acquired BHS from Green. Frank Field, the Labour MP who co-led the parliamentary investigation and led the calls for Green to make good the pension scheme, welcomed the deal. “I very much welcome this out-of-court settlement which is an important milestone in gaining the justice for BHS pensioners and former workers that we have been pushing for since beginning our inquiry into the downfall of BHS,” Field said. However, BHS workers are still likely to suffer cuts to their pension benefits. The Pensions Regulator estimates that workers will on average receive around 88% of the value of their original benefits in a new pension scheme created by the settlement. This is a better outcome than if the BHS pension scheme had entered the Pension Protection Fund, a lifeboat for failed pension schemes, where workers would have received an estimated 75% to 79%. Grant Atterbury, a former BHS worker, said the deal was “literally the least Green could do”. Atterbury is still unemployed and living on benefits after losing his job at the BHS in Royal Tunbridge Wells, Kent, last August. Green initially pledged to “sort” the problems facing the BHS pension scheme last June when he was questioned by MPs. The Pensions Regulator said measuring the BHS deficit as £571m was not appropriate when working on a cash settlement because this figure is based on what the retirement scheme would have to pay an insurance company to guarantee its liabilities – which is expensive. Green has already paid over the £343m into an escrow account as part of the settlement. An additional £20m will be spent on expenses and implementing the changes to the BHS pension scheme. The deal will see the creation of a new pension scheme, which will be funded by Green’s cash injection. BHS workers will have the option of moving their pension into the new scheme, receiving a lump-sum payment, or remaining in the existing pension scheme, which will enter the PPF and see a 10% cut to existing benefits. As much as £15m could be returned to Green if 90% of the eligible members decide to accept the lump sum. About 9,000 of the remaining 19,000 former staff in BHS’s two pension schemes will be offered the lump-sum payments. Trustees sent an letter to pension members on Tuesday. The members will all be contacted within the next three months with a personal offer and they will have three months to decide what to do with their pension money. The new scheme will be run via a “special purpose vehicle” and will not be attached to a sponsoring company, which pensions experts claim is risky. It is the first time such a vehicle has been cleared by regulators in the UK and £100m was added to the settlement to reduce fears about the scheme falling back into the PPF lifeboat in future. Chris Martin, the chair of the BHS pension fund trustees, said the cash injection from Green put the new scheme on a “stable footing”. He added: “The trustees have carefully considered all aspects of the deal and we are confident that this is a robust scheme that delivers improved and sustainable benefits.